Move beyond the usual cities and see more with this Fly-Cruise! Yearning to see a different side of Europe apart from the same old cities? Or looking to impress your partner with an unconventional yet classy trip? 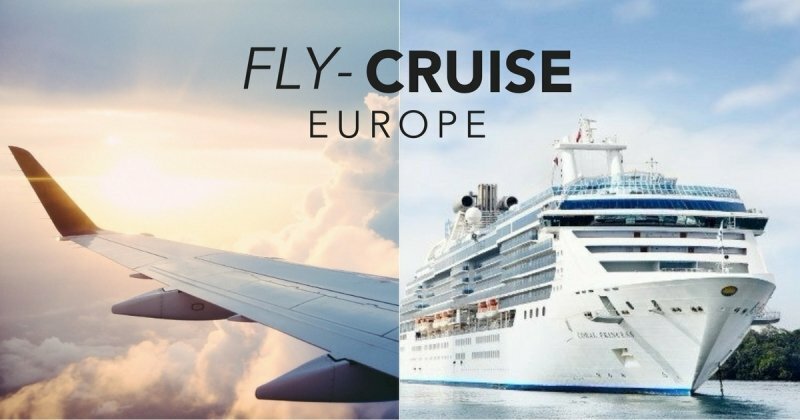 Look no further than a Fly-Cruise around Europe! What is a Fly-Cruise? In essence, a Fly-Cruise combines the best of an overland trip and a cruise in one amazing journey. Fly to the destination of your choice, then step onboard a luxurious cruise and let it take you to a variety of incredible locations, all while enjoying 5-star accommodation, delicious meals and engaging activities at sea. All this with just one booking! It’s an ideal way to discover major European port cities without the hassle of arranging various plane or train tickets from city to city. To entice you even further, here is the lowdown on the best things to do in our top three picks – Copenhagen, Berlin and St. Petersburg – as well as onboard the magnificent Regal Princess cruise ship! Known for its delightful Rococo-styled architecture, Copenhagen is home to majestic castles that offer a feast for the eyes. Be sure to check out Kronborg Castle, immortalised as the setting of Shakespeare’s Hamlet; Rosenborg Castle, which houses the Crown Jewels of the Danish Royal Family; and Fredensborg Castle, where you can observe the Changing of the Guard ceremony at noon if Queen Margrethe II is in town! 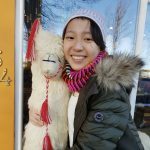 For the young at heart, visit Tivoli Gardens, one of the world’s oldest amusement parks that boasts one of the world’s oldest wooden roller coaster and the 80-metre swing ride, the Star Flyer! In addition, explore the waterfront district of Nyhavn, famous for its colourful townhouses, quaint cafés and a canal lined with wooden ships. To see the best of Copenhagen, we recommend booking a shore excursion. These land tours are easy to book from onboard the cruise and available for every port-of-call, saving you heaps of time on planning day trips! For example, this shore excursion will also take you to Nyhavn, Tivoli Gardens, as well the legendary Little Mermaid statue inspired by Hans Christian Andersen’s world-famous fairytale – which are just some of Copenhagen’s most iconic sights. Berlin is both a thriving modern city and an intriguing historical hotspot, with trendy architecture and business districts interspersed with historical monuments. 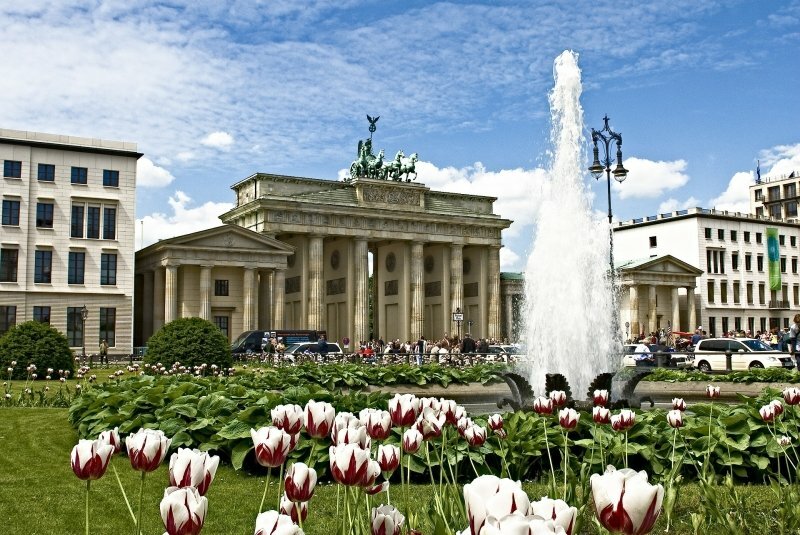 You can’t leave Berlin without seeing the Berlin Wall and its famous crossing point, Checkpoint Charlie, or the symbolic Brandenburg Gate that used to mark the separation of East and West Berlin. Pay a sombre visit to the Jewish Museum, German History Museum and Sachsenhausen Concentration Camp to immerse yourself in the country’s history. On a more lighthearted note, check out the idyllic Schwerin Castle, at the scenic Schwerner See lake, which serves as the seat of the state parliament. In addition, the nearby Hanseatic city of Rostock is insta-worthy at every turn, with its townhouses and distinctive church steeples. 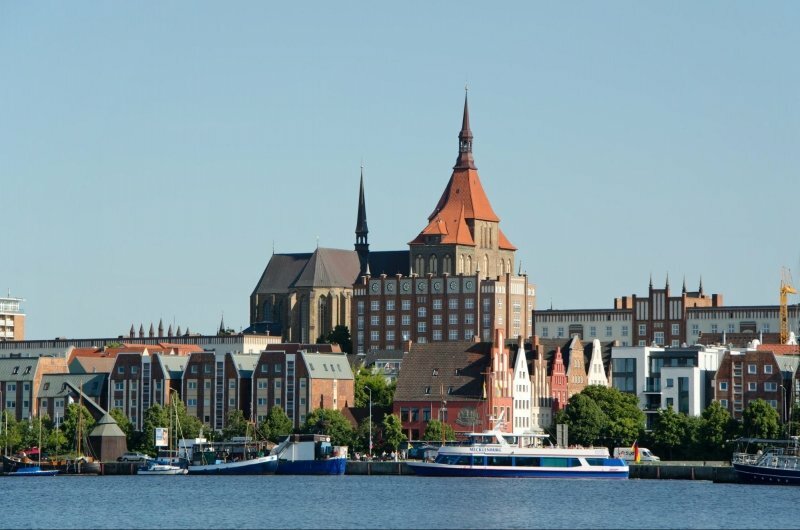 For a fuss-free experience, we suggest that you book a Discovery Recommended shore excursion and have your day trip to Rostock and Schwerin all mapped out for you! Feeling adventurous? Opt for a guided coastal biking tour around the quaint fishing village of Warnemunde, a rejuvenating journey that promises stunning views of the Baltic Sea and the coastal forest of Wilhelmshöhe. Russia’s former imperial capital will instantly instill awe in any traveller, especially with many canals and colourful bridges crisscrossing the city. 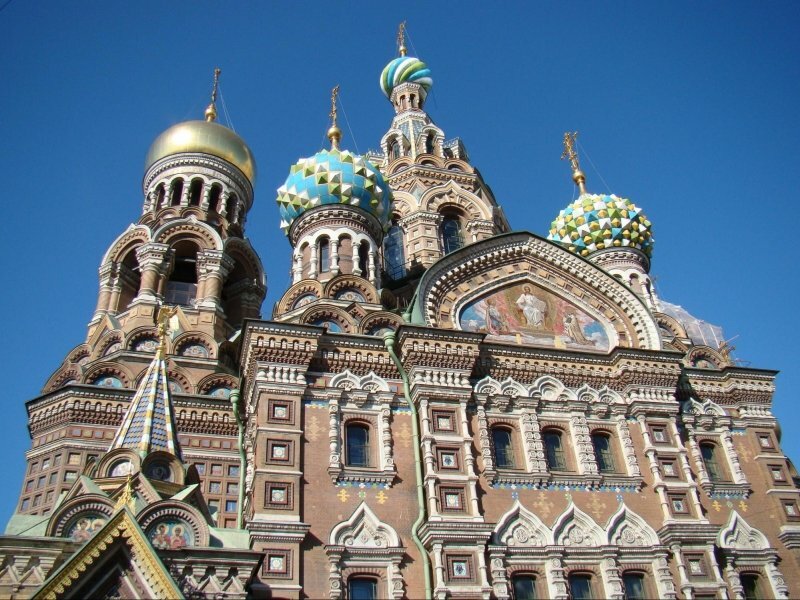 Baroque architecture and ornate church domes perfectly embody the rich artistic spirit of St. Petersburg; it is simply brimming with scenic wonder culture! 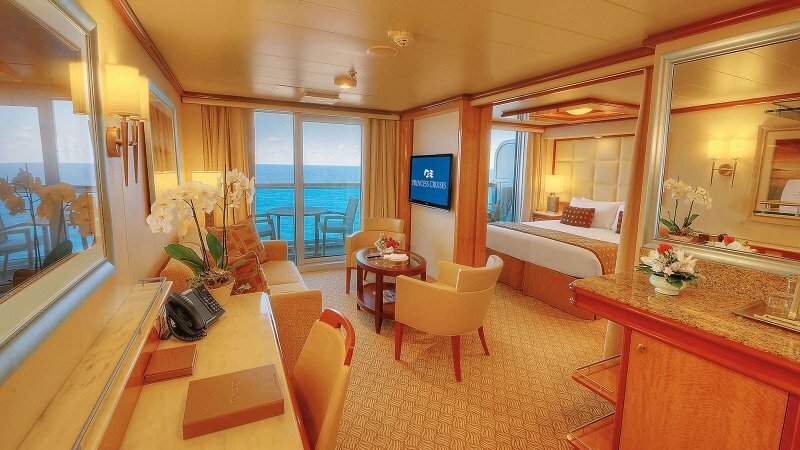 Princess Cruises’ Europe Fly-Cruise includes 2 full days here (with an overnight in the city! ), giving you ample time to explore. There is also the advantage of obtaining a Russian visa conveniently, because you’ll be guaranteed a visa once your ship arrives. 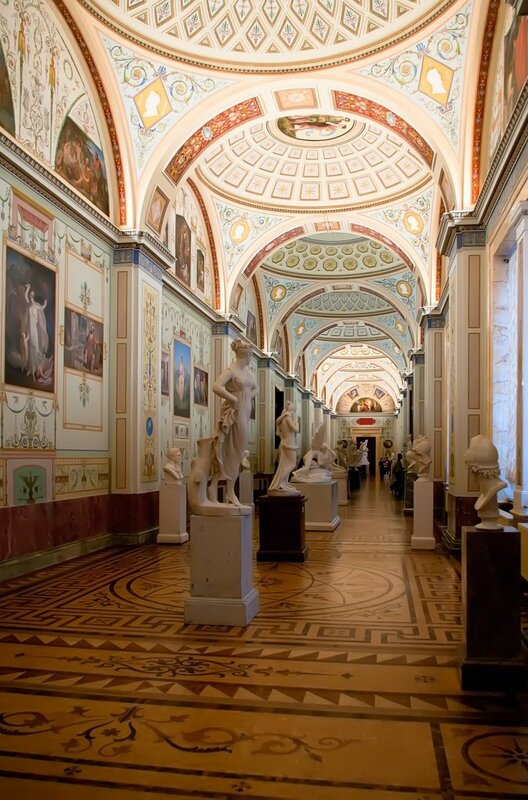 If you have been to the Louvre and loved it, you’ll want to marvel at the equally impressive collection housed in the palatial galleries of St. Petersburg’s Hermitage Museum, a work of art in itself. Admire the gilded beauty of St. Isaac’s Cathedral’s golden dome, which took over three decades and 99 kilograms of gold to complete, as well as Catherine Palace with spectacular gardens that span over 1,400 acres. It seems like such poise is imbued in the Russians too, as you’ll notice by catching a Swan Lake ballet performance! And for the more macabre, visit Yusupov Palace where Rasputin was murdered. Beyond Copenhagen, Berlin and St. Petersburg, other stops are no less exciting! Take a walk through the enchanting Vigeland Sculpture Park in Oslo, revel in the sights and sounds of medieval Tallinn, delight your senses at Helsinki’s Market Square and get a glimpse of Viking life in Stockholm before returning to your point of embarkation. Since you will be spending lots of time cruising from place to place, the activities and amenities onboard are naturally of great importance. On Princess Cruises’ Regal Princess, you will be hosted in elegant hotel-style suites and get to savour delectable international cuisine. You can even go on a decadent Chocolate Journey featuring specially created sweet treats! We highly recommend indulging in a feast at Sabatini’s Italian trattoria, which offers authentic antipasti and handmade pasta dishes from acclaimed Italian Chef, Angelo Auriana – available at a nominal fee. With a cruise, your accommodation and dining are both covered, so all you have to do is sit back, relax, and wake up each morning in a different country. Did we also mention that room service is available round-the-clock, and entirely complimentary? 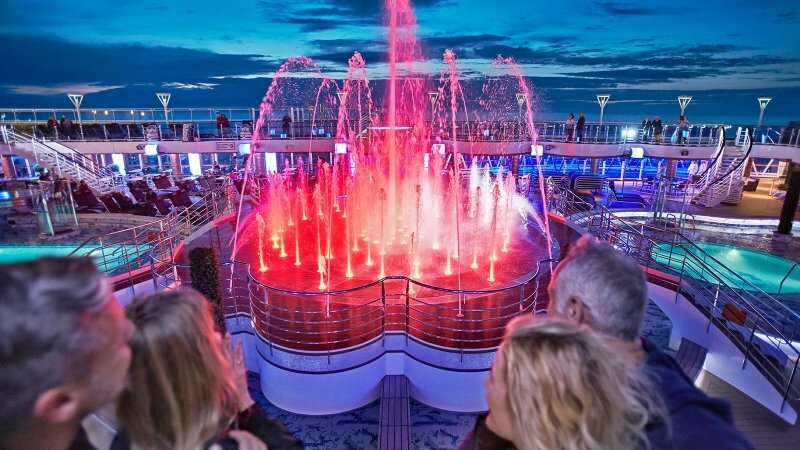 Watch the signature Watercolor Fantasy light and water show or take a thrilling walk on The Seawalk, a glass-floor walkway extending 8m beyond the edge of the ship! Otherwise, you can work up a sweat at the Sports Court or have a relaxing evening watching a Movie Under the Stars with your loved ones. You can even celebrate cultural festivals from all over the world with song, dance, food and folklore! This is just a snippet of what the cruise has to offer. One thing’s for certain: you definitely won’t be bored onboard! Indeed, this 11-Day Scandinavia & Russia Fly-Cruise (departing from Copenhagen or Berlin) is the perfect unique getaway for yourself, your partner or even your whole family! The wide range of excursions available at each city caters to all travellers – from those who prefer to see the sights from the comfort of a motorcoach to those looking for more comprehensive tours. So what are you waiting for? Book your 11-Day Europe Fly-Cruise (departing from Copenhagen or Berlin) A.S.A.P, and have a holiday like no other!